Day 2: Terrorism on American Soil? No one forgot, certainly not black Americans. Sarah Weaver Pate, a teenager in 1930, told an interviewer in 1994 that “we’re like the rabbit now; we don’t trust the sound of a stick.” James Cameron, the sixteen year-old who survived the lynching, never forgot. He titled his autobiography Time of Terror. He devoted the last decades of his life to telling the story, always in contexts of justice and American ideals. 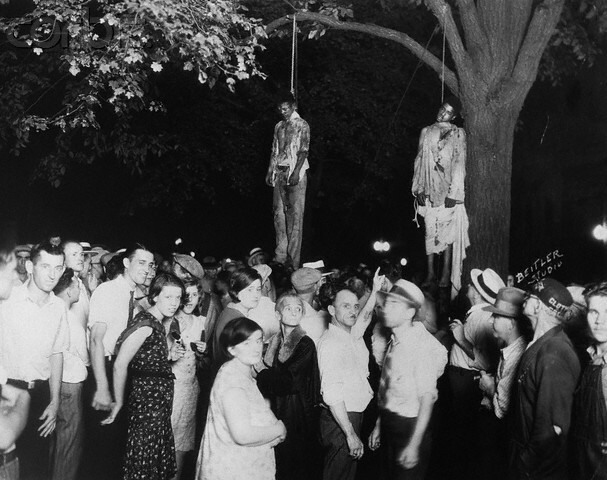 More Americans came to understand that lynching was not a sidebar but a central feature of American history. James H. Madison is the Thomas and Kathryn Miller Professor of History at Indiana University. Among his publications is A Lynching in the Heartland: Race and Memory in America (2001), which focuses on a 1930 lynching in Marion, Indiana. James H. Madison, A Lynching in the Heartland: Race and Memory in America (New York, 2001), 143. James Cameron, A Time of Terror (Milwaukee, 1980). Journal of American History, Teaching the JAH. June 2011.